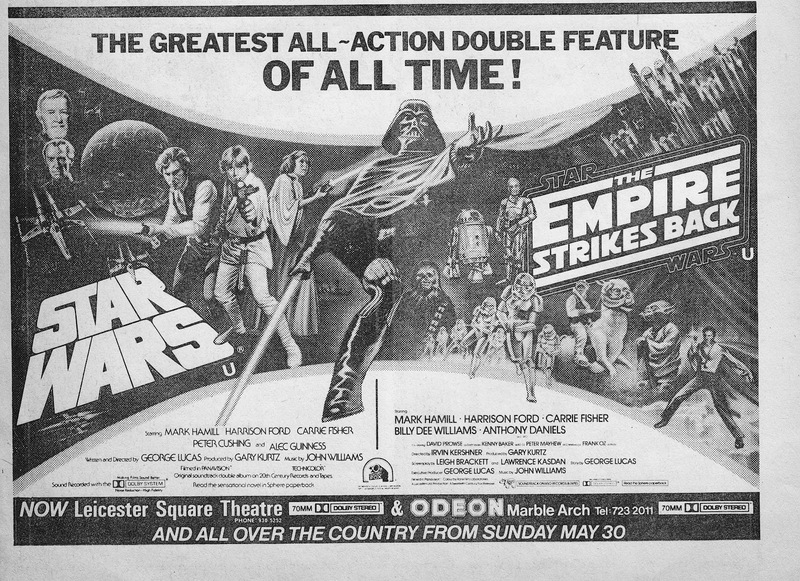 It's May 1982 and REVENGE (ahem - RETURN) OF THE JEDI is still a year-or-so away. Is Darth really Luke's dad? Who is "the other"? Ill-advised speculation (It's Biggs! It's Wedge!) is running riot in Cosmic Correspondence. What's a fan-boy to do? Never fear! George Lucas, never one to miss a commercial opportunity, has the solution. A theatrical re-release of the first two chapters. On the big screen where they belong (and without silly "Special Edition" dickering). This advert appeared in Marvel UK's SPIDER-MAN (and probably in other titles too) to keep fans in the loop. I don't recall whether I went to see this double bill but it's entirely possible. I was certainly there (Colchester!) for ROTJ the following summer.